Home > Embrace life changes! Rather than standing under the grey clouds of disappointment and discouragement, lift up your thinking. Have courage. Embrace the change. Open your heart and welcome the good that lies ahead. Don’t begrudge the experience of a life change. Instead, focus on what you’ve gained, rather than what you’ve been forced to give up. Remember with thankfulness all that you’ve achieved, and what you can still do, and be. Realize that change doesn’t end things. Look past any unhappiness to the new opportunities that lie ahead. 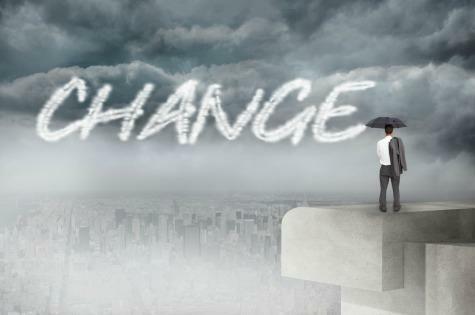 Change can be a stepping-stone to fresh prospects. Be encouraged, strengthened and reassured. You have within you the spiritual qualities of buoyancy, adaptability, and resilience. You will bounce back. You’ve been created to be mentally and emotionally strong. You can handle changed circumstances with grace and poise, and be triumphant. Let this poem comfort and help you embrace life changes. You’ll find it’s good for your health. Thank you Beverly, for sharing these practical and reassuring ideas for facing change courageously. I’ve put some of them to use and what a difference it makes!